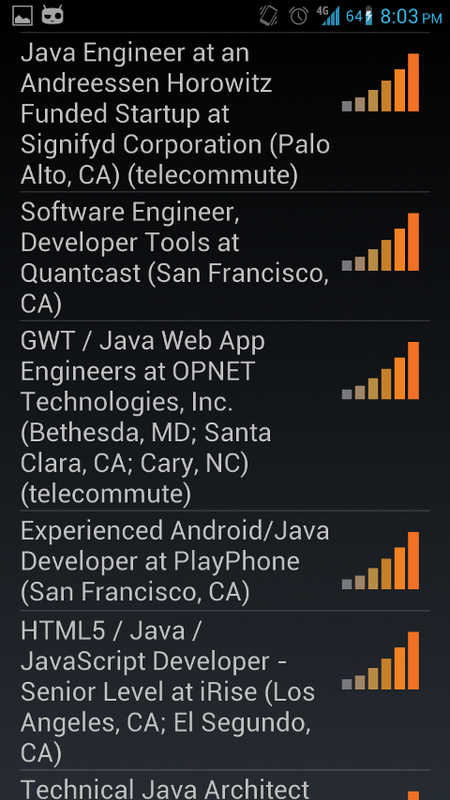 An Android app for searching Stackoverflow Careers. 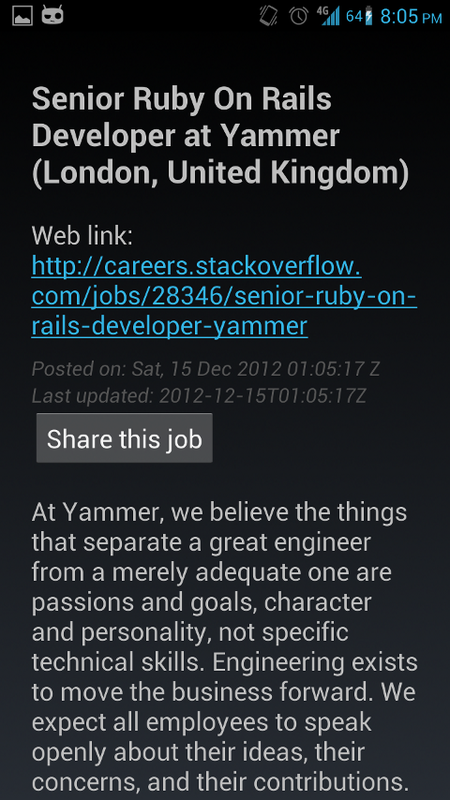 Allows job seekers to search for job postings exposed by the Stackoverflow Careers RSS feed. Users can search by skill(s) and location, and share on social networks any listings they have found. The app is localized in a number of languages and has been tested on a range of phones and tablets. This is my first Android app, so feedback is greatly appreciated. This app took about 48 hours to build, and I only intended to build something very basic with a simple goal of searching by skill and location. Stack Careers is closed source currently, but I may open it up in the near future. I can be reached at help.blapps@gmail.com. Stack Careers is written in Java using the Android SDK, Google Guice and RoboGuice.